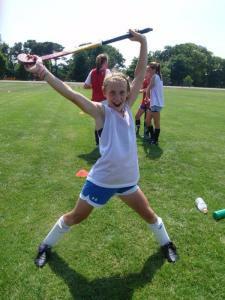 Revolution Field Hockey Camps is excited to announce over 30 camp locations for its best summer season yet! Click the logo above to visit our website for the most up to date camp schedule! TRAIN, GET BETTER and HAVE FUN! 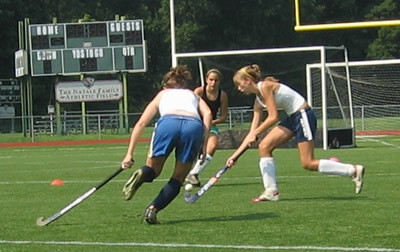 Revolution Field Hockey Campers will leave camp with better individual skills - from ball control to shooting to defending. 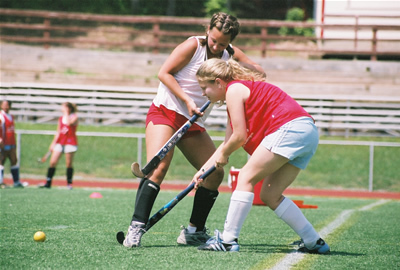 Campers will also develop a greater understanding of team play, learning the concepts to help make their team better. And don't forget fun! 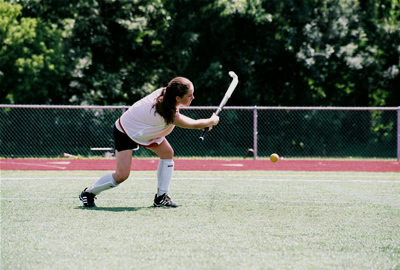 The Revolution Field Hockey Camps were designed to give young athletes the opportunity to work hard and improve in a fun, positive atmosphere - we guarantee it! 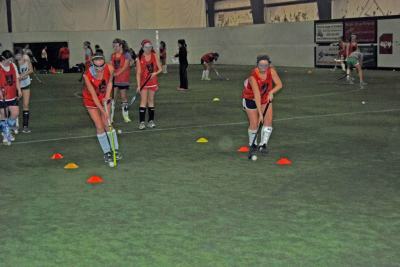 The Revolution Field Hockey Camps are considered the finest in the country because of our coaching staff. Our Camp Directors are a collection of the best coaches and players in the world today, skilled in all aspects of the game. 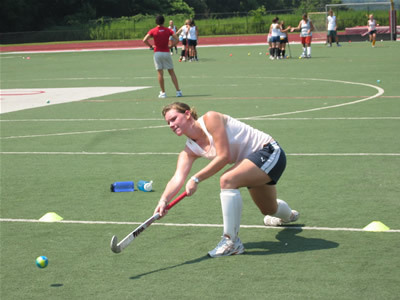 Each coach is dedicated to the personal development and improvement of each camper, from beginners to elite players. The featured camp director matches their own unique style with the Revolution curriculum to deliver the most impressive camp experience. Campers will remain on campus and under staff supervision for the entire duration of the camp. 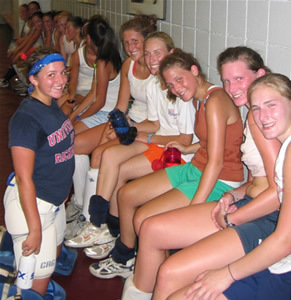 Our staff resides in the dorms with the campers at all overnight camps. 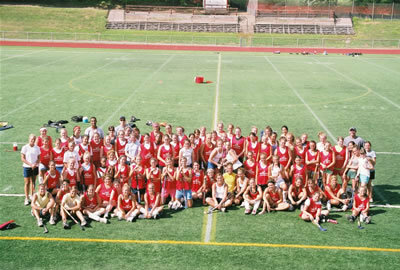 Athletic trainers provide injury prevention and consultation through-out camp. Campers are expected to follow directions and show respect towards other campers and the host facility. Drugs, alcohol, and tobacco use are strictly forbidden, and will result in immediate dismissal from camp without refund. 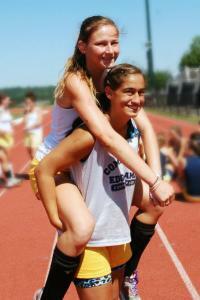 Each Overnight Camp offers a commuter camp option and both groups register between 12 - 1pm on the first day of camp. TIP: Commuter Campers arriving closer to 1:00pm will avoid downtime while residential campers move in for the week. The 1:30 group meeting is followed by two training sessions on the first day. In most cases dinner is your first meal on campus. * Please refer to your camp packet for deviations from the online details. 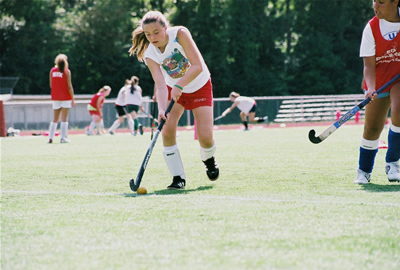 Day Camps run from 9 am - 3 pm with check-in at 8:30am on the first day. 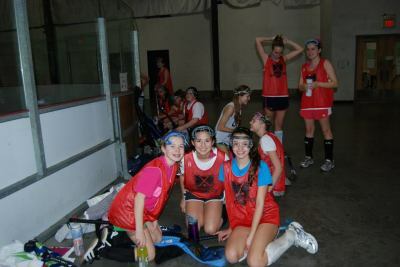 Each consecutive day, campers should be dressed and ready by 8:55am to begin warm-up. Contact us using the Camp Request button above for more information about any of our premier sports program.